Download detailed instructions for the walk here. 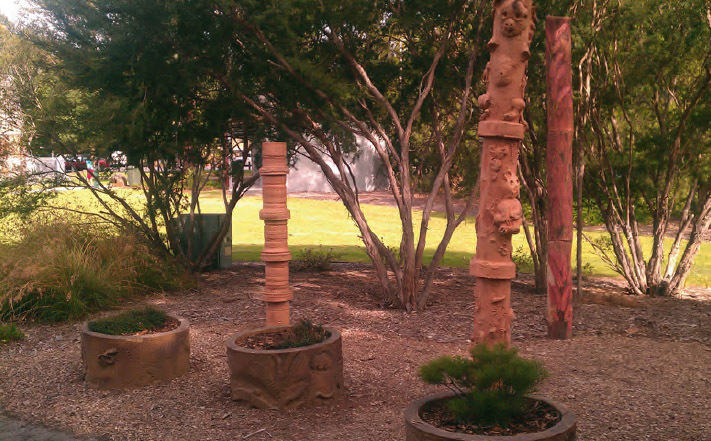 This walk explores a working community in Ferntree Gully. Unlike previous bush walks in this paper, this follows footpaths on a route past many of the premises that service our community. While still a bracing two hour walk, it gives a personal appreciation of the goodwill and care that exists in this foothills township. The starting point is the Francis Crescent car park of the Tim Neville Arboretum (renamed in 1993 after the late Chief Executive of Knox City Council). Walk along Dorset Rd heading south beside thenew Eastern Ranges School that provides dedicated teaching for children within the Autism Spectrum Disorder. Across the road you see The Coolstore, originally the Dobson cool store for the widespread orchards in the area, now mostly housing. during games, or quiet and park-like when not. safely and head north through the eastern car park towards the Blind Creek bike track, parallel with Underwood Rd, which takes you towards Boronia. Here you pass three community institutions: Wattle Senior Citizens Club and Ferntree Gully Guides hall, and across the road, the long-standing Ferntree Gully Arts Society Hut Gallery that started life 71 years ago and is associated with many famous artists. Continue north on the cycle track towards Boronia for nearly a kilometre to a railway underpass. On the way you see the extensive Glengollan Retirement Village, founded by forward thinking Ferntree Gully Shire President Violet Lambert in 1956. Take the underpass, continuing for 400m or so back to the Tim Neville Arboretum, and note the impressive new children’s playground, community herb garden and new semi-circular war memorial. Take a moment to sit and reflect on what you have seen. The walk passes services for youth and elderly, community learning, sport, safety, health and recreation, many of which are run by volunteers. Think about the good works of a functioning local citizenry as you enjoy the two hour pavement walk. Return to our list of Ferntree Gully Walks here. We are a bi-monthly, not for profit community newspaper produced by local volunteers, the MDLC and Ferntree Gully Village Traders Inc.
Want to help with the Gully News? Happy 50th Issue of Gully News! Open Tuesdays 10am to 3pm (or by appointment).